Nearly every home in Aberdeen uses a boiler for hot water and heating during the cold season, but most property owners and agents make terrible mistakes while installing central heating or boilers in their buildings. This is mainly because they are not knowledgeable of the new products, technologies and services in the heating industry, how they work and how they can help them to save money. Do not be part of these frustrations. At Eco Efficient Aberdeen we will help you through the process of installation and provide valuable maintenance that you can rely on to have your home manageably heated and safe at throughout the year. We have the right expertise and experience in the industry, and we are up to date with the new more energy efficient appliance that are safer and offers high performance for less. We have successfully completed more domestic and commercial central heating installation in the region than any heating company, a sign of our effectiveness, quality and reliability. Our region of operation covers the entire Aberdeen and other surrounding areas of Newburgh, Westhill, Ellon, Portlethen and Stonehaven. 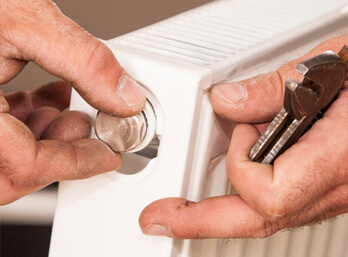 Our engineers are Gas Safe registered and have many years of experience in the business, so you can trust them for all your heating services ranging from boiler installation, minor repairs to complex central heating repairs. You will enjoy excellent customer service from our skilled and friendly heating contractors, in addition to high quality and dependable services. Our engineers are locally based and are able to report to any locations upon request in less than 60 minutes. Whether you use electric or gas fuelled boiler, you must have noticed the rising costs of fuel to an extent that low income earners struggle so much with their energy costs. No matter how much the energy tariffs hike, it is impossible to stay without a running boiler especially during the Aberdeen cold winter months. The cry of many homeowners and business operators has been high energy bills, and in most cases the problem starts with choosing the wrong heating solutions. Fortunately Eco Efficient Aberdeen is here to help. We offer cost-effective boiler servicing mainly focused on safety, efficiency and cost reduction and our low income earning customers live a comfortable and safe life within their means. New heating system and boiler installation. Safety gas and boiler leaks services. Annual boiler inspections and system checks. Business and domestic heating assessment and advice. 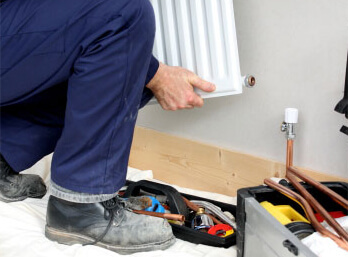 Whatever your heating needs, make it known to us and we will dispatch one or a couple of our heating pros to help you. You can talk directly to our customer support engineers and they will walk you through our various services and their estimated cost. Our support team will also help you in making crucial decisions that make economic sense in the long-run. Selecting The Right Boiler –The type, make and size of your boiler have an impact on how much fuel it will require to heat your home and for hot water. Our technicians have immense knowledge on a wide variety of boiler types and makes in the market today and they can help you get the best deal. Modern boilers are more energy efficient and have smart safety features that can save you a lot from your annual energy bills. Assessment – Our boiler qualified technicians will assess your heating requirements for your home and recommend an ideal-sized boiler adequate for your home that will operate with minimum fuel consumption. Boiler Replacement – Even if your old system boiler is working correctly, it could be economically feasible to replace it with a new more energy efficient model. Do not focus on the initial cost. Put your eyes on a bigger picture. The modern more efficient boiler could be more expensive, but it could save you a lot every year for many years making it cheaper for you. 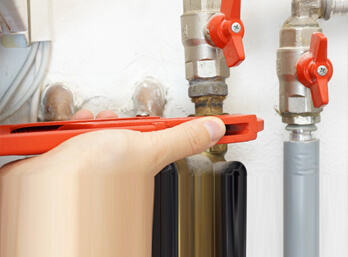 Annual Boiler Servicing – Routine boiler servicing will not only enhance your boiler performance, but will also fix errors that can lead to energy inefficiency which means lower energy bills for you. Boiler servicing is also key in making sure that your home is safe as well as saving you emergency repair costs and inconveniences. Other Efficiency Improvement Services – Our technicians offers various services toward improving energy efficiency including quick central heating repairs, insulation and other maintenance tips. Do not strain to keep your home warm over winter, we are here to help you out and our rates are reasonably lower than any Aberdeen central heating engineers. Choose Eco Efficient Aberdeen and enjoy the most reliable and affordable services.